One area where crick­et dif­fers not­ably from many oth­er team sports is the man­age­ment struc­ture. The Eng­land team have coaches, they have a cap­tain, and then there are the select­ors. Oth­er inter­na­tion­al sides have sim­il­ar arrange­ments. The respons­ib­il­it­ies are shared between mul­tiple parties. In some ways this is a good thing — the team cap­tain has sig­ni­fic­ant respons­ib­il­it­ies which enhances their stand­ing and their author­ity on the pitch. Oth­er sports have the coaches, and the cap­tain, but they usu­ally have a single key fig­ure of respons­ib­il­ity — the man­ager. The closest fig­ure in crick­et would seem to be the chair of select­ors, but this seems to me to be a role that comes with lots of power and pre­cious little account­ab­il­ity. Is the cur­rent sys­tem really the best? How might crick­et teams bene­fit from a “man­ager”, and what might the role of a man­ager be? I’ll try to make the case for intro­du­cing a man­ager for the Eng­land crick­et team and see if I can per­suade you. The first issue is evid­enced by some inex­plic­able choices in selec­tion — for example when Simon Ker­rigan was pre­ma­turely picked against Aus­tralia, was utterly demor­al­ised by being smashed around the park, and hasn’t seen inter­na­tion­al crick­et since. The second issue is evid­enced by a long cata­logue of issues with play­ers men­tal health and play­ers beha­viour. In recent years there has been the pre­ma­ture retire­ment from inter­na­tion­al crick­et of sev­er­al lead­ing play­ers includ­ing Mar­cus Trescothick, Jonath­an Trott, and Graeme Swann. There have also been issues with play­er beha­viour off the pitch includ­ing Fred­die Flintoff (Ped­alo-gate), Ander­son & Broad urin­at­ing on the pitch, and most recently Ben Stokes involved in a fracas in a nightclub. And on top of these there has been the Kev­in Pieterson affair which has con­trived to deprive Eng­land of the best bats­man of his time. The last issue may seem less sig­ni­fic­ant with Joe Root look­ing prom­ising in the role, and his pre­de­cessor Cap­tain Cook opt­ing to con­tin­ue play­ing des­pite los­ing the cap­taincy. Andrew Strauss retired too early, and his form as an open­er suffered from the demands as cap­taincy. The same could be said for Michael Vaughan too. Ask­ing an open­ing batsman/captain to go out for the toss, and then do media inter­views, instead of pre­par­ing for their innings, would be unthink­able in oth­er sports. I believe that hav­ing a mature and exper­i­ence fig­ure­head could be effect­ive in man­aging these sorts of issues to the long term bene­fit of the team. The most obvi­ous example to start with is one of the most effect­ive and famed man­agers of mod­ern times, retired foot­ball man­ager Sir Alex Fer­guson. Tak­ing each of the issues above, let’s ask if that issue or some­thing sim­il­ar is likely to have occurred amongst the Manchester United play­ers dur­ing the 27 years that Fer­guson was man­ager? Next, let’s ask how it worked out in the long term, and how suc­cess­ful the team was after­wards. The simple rules of aver­ages sug­gest that numer­ous play­ers must have had men­tal health issues whilst play­ing for Fer­guson. The pres­sure and fame would be com­par­able to play­ing for Eng­land. The cri­ti­cism from the press and pub­lic could be even more relent­less. The import­ant record though is that there is no sug­ges­tion that any play­ers retired pre­ma­turely under Fer­guson due to men­tal health prob­lems. On the con­trary — super­stars like Dav­id Beck­ham and Chris­ti­ano Ron­aldo have gone on pub­lic record to describe Fer­guson as a “Fath­er fig­ure” that they could approach for help with any issue inside or out­side of foot­ball. Who would an Eng­land crick­eter approach as a Fath­er fig­ure in the cur­rent setup? Fer­guson was rightly renowned for his approach to man­aging off-the-pitch beha­viour. The very best play­ers want to be the best, and he made it clear to them that if they were going to achieve that, there were rules they have to live by. In the early days there were some play­ers who didn’t toe the line. Fer­guson set a clear example in the early days with the drink­ing cul­ture and sold 2 of United’s top play­ers Nor­man Whiteside & Paul McGrath. He later inter­vened with a young Ryan Giggs who chose to fol­low the rules and had a record set­ting career. No mat­ter what happened on or off the pitch, Fer­guson pro­tec­ted his play­ers in pub­lic. Play­ers could give inter­views after the match, and were giv­en needed media train­ing. Over­all respons­ib­il­ity lay with the man­ager and he would share that out in a way that he felt wouldn’t dis­tract play­ers from their num­ber 1 job — win­ning games. Respons­ib­il­ity for strategies, tac­tics and train­ing was also dis­trib­uted from the man­ager to oth­ers. A man­ager role for crick­et would of course be dif­fer­ent from that in foot­ball. The play­ers seem to be more mature, the media glare isn’t quite as harsh, and the team have a dif­fer­ent pat­tern of being togeth­er. There are also long tours abroad which foot­ballers don’t have to deal with. There should be a great­er role for the cap­tain than in foot­ball, one of the things that is bet­ter about the cur­rent crick­et sys­tem. None of these dif­fer­ences makes the role sig­ni­fic­antly more chal­len­ging to imple­ment than in foot­ball. I believe that with a “fath­er fig­ure” man­ager Eng­land could rap­idly become the world num­ber 1 side. The play­ers would have clear­er bound­ar­ies to help them avoid mis­takes in their private lives, a “fath­er fig­ure” to sup­port them with the demands of being a pub­lic fig­ure and oth­er life chal­lenges, a “pro­tect­or” from the harsh glare of the mod­ern media, and more time to spend on their train­ing and play­ing. 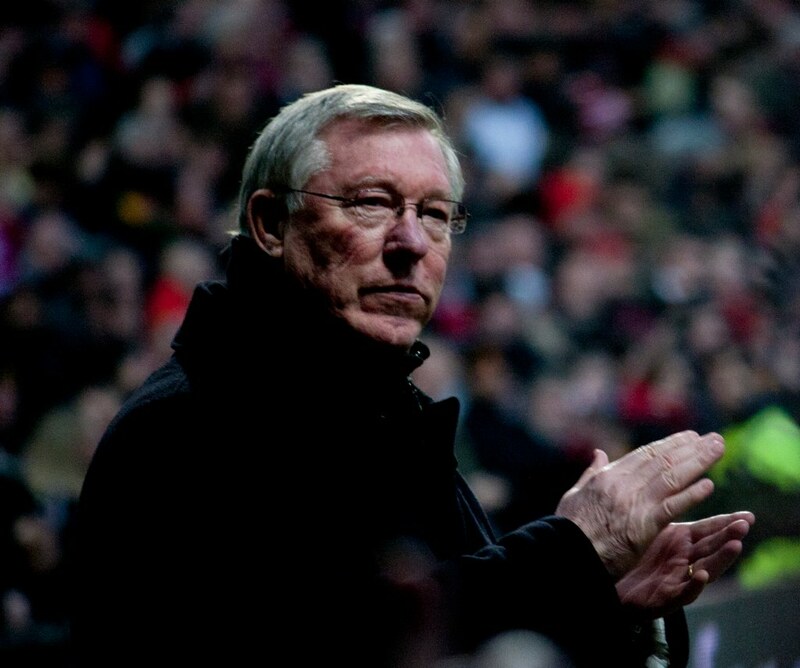 Home » England » England: Time for a “Sir Alex” style manager?